It’s Hump Day! And the only way to get through hump day? 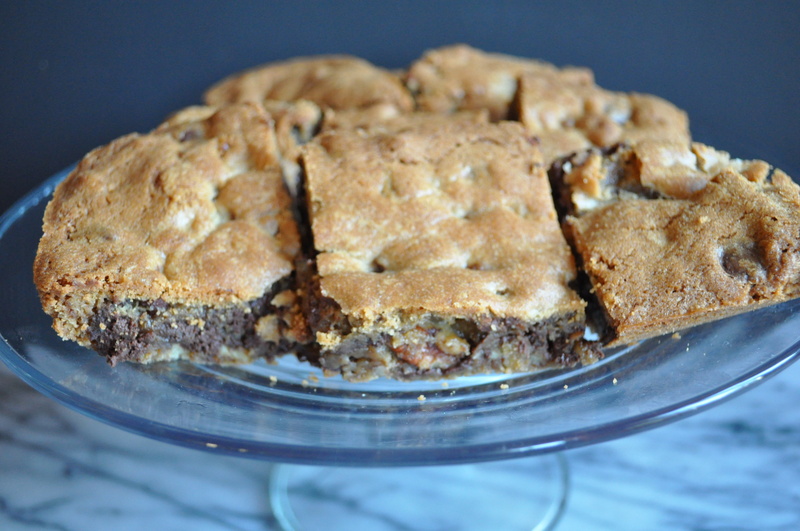 Blondies filled with toasted pecans and chocolate chips, these will melt in your mouth and make you feel like it’s Friday! 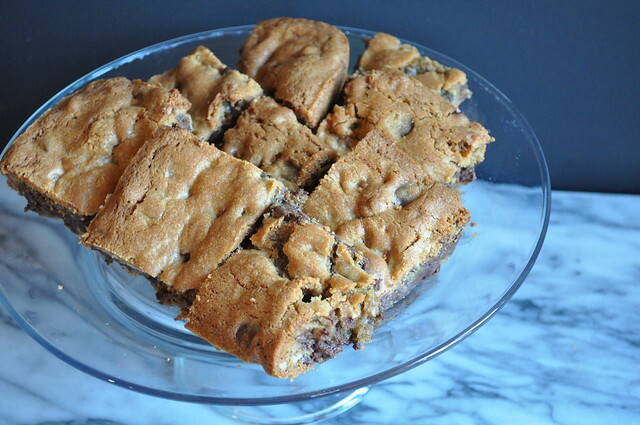 Blondies are basically a cookie that are made in a brownie pan, and give you a nice change of pace from the normal cookie or brownie. 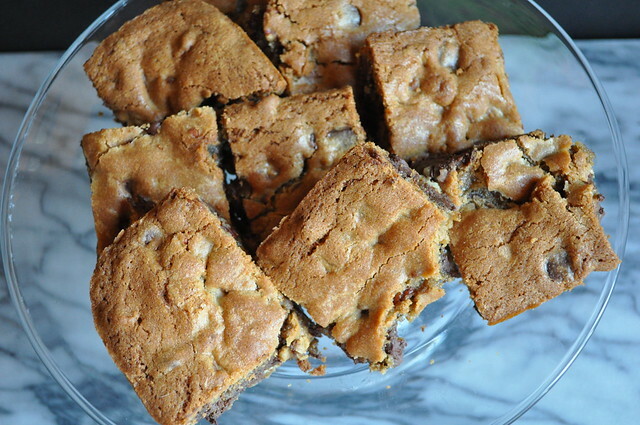 These blondies have claimed they have more fun than brownies, but there’s room for everyone in our hearts! 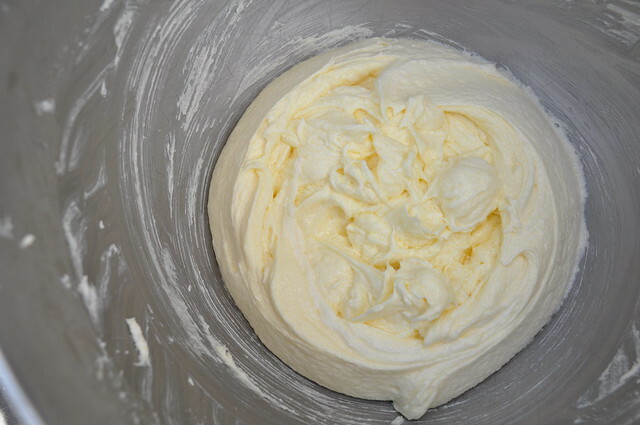 In a stand mixer or medium bowl using a hand mixer beat together the butter, and sugars on high until light and fluffy, about 3 minutes. Next, add the vanilla paste on a low speed. 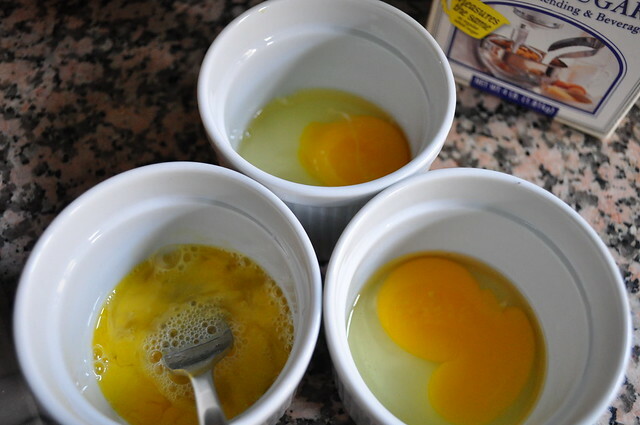 Add the eggs (one at a time) making sure your scrape down the sides of the bowl after adding each egg. 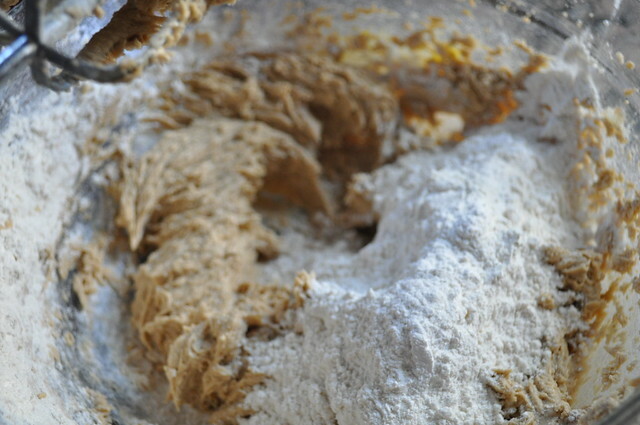 In a separate and small bowl, sift together the flour and baking soda. Then mix in the salt. 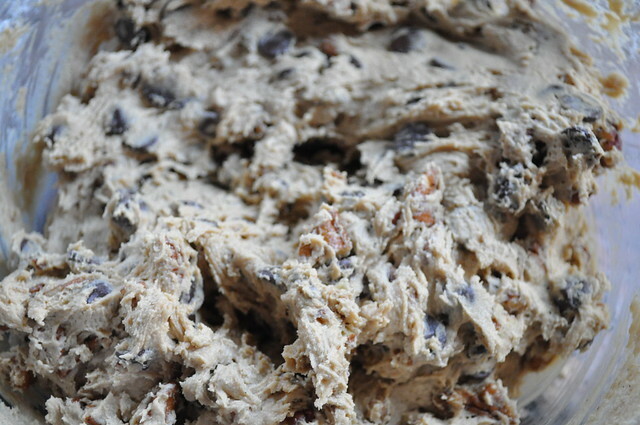 With the mixer on low, add the flour mixture in batches until fully incorporated. 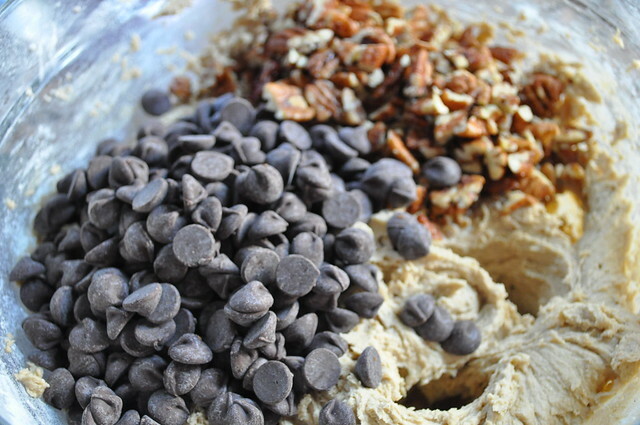 Finally, fold in the chocolate chips and pecans. 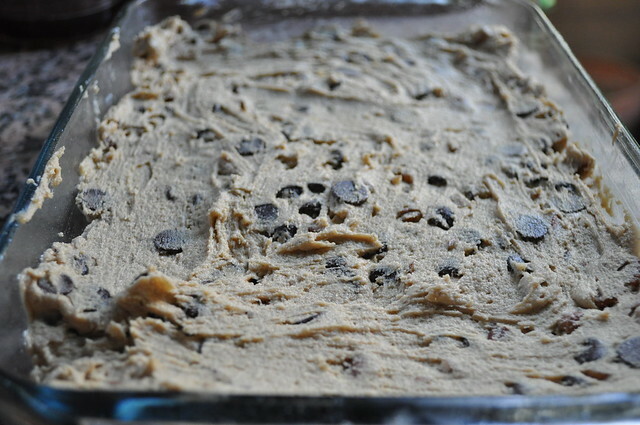 Spray and 8×11 pan with baking spray then evenly spread out the blondie batter. Cook for 30 minutes. 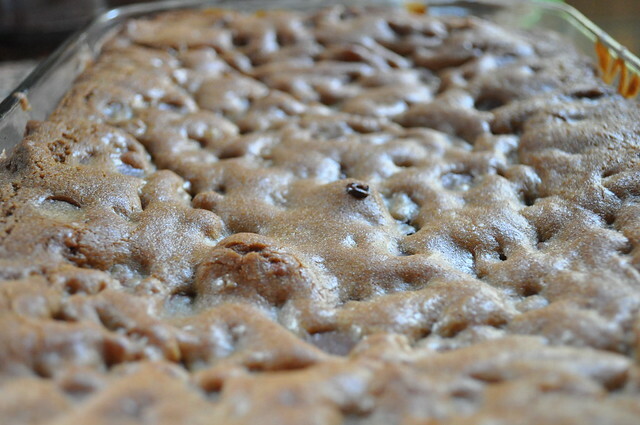 Allow to cool completely then cut into 12 perfect squares, or just eat it. Who cares about cutting equal pieces? Hey guys, what a week. First we lose David Bowie, and now Alan Rickman? And let’s not forget Lemmy Kilmister and Natalie Cole. A very sad start to 2016. On a lighter and happier note, we have a sweet and delicious start to your Thursday, with our second Throwback Thursday recipe: Breakfast Oatmeal Cookies! 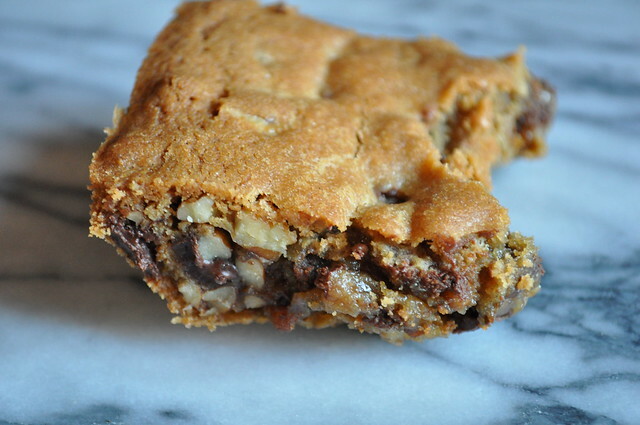 These cookies are like eating your morning oatmeal in cookie form. Unfortunately, they’re not as healthy as normal oatmeal, but it’s just as delcious and who really cares. Live a little. Have a cookie for breakfast. We won’t tell if you won’t. Remember, when making these cookies, under-bake them just a smidge for a gooey and delicious oatmeal texture. 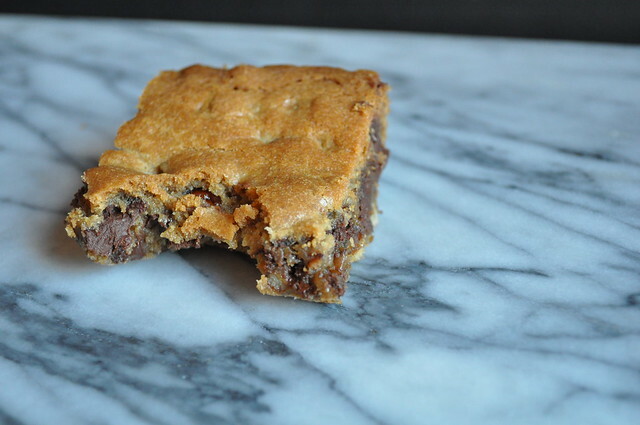 But better, because it’s in a cookie. And who doesn’t love cookies for breakfast. 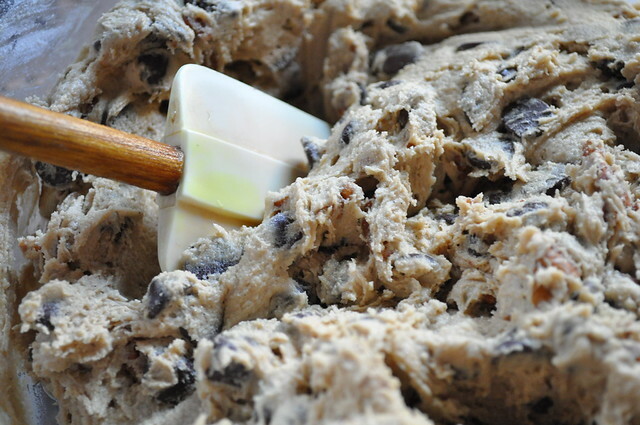 CLICK HERE for this recipe. And remember if you like our recipes, subscribe, like, share, and you can find us on Facebook and Instagram! Hello and Happy New Year from Two Young Ladies! We’re sorry we’ve been MIA for awhile but you know how it gets at the end of the year? Things get crazy, but don’t think we forgot about our awesome followers. We’ve been testing and making tons of AMAZING recipes. 2015 was a great year, so much happened for both of us, and we’re truly, truly, excited to see what 2016 has in store for us and this blog. We have a ton of ideas, and things have been “cooking” for awhile. So stay tuned for what we have in store. But onto the good stuff! A new recipe for a new year! 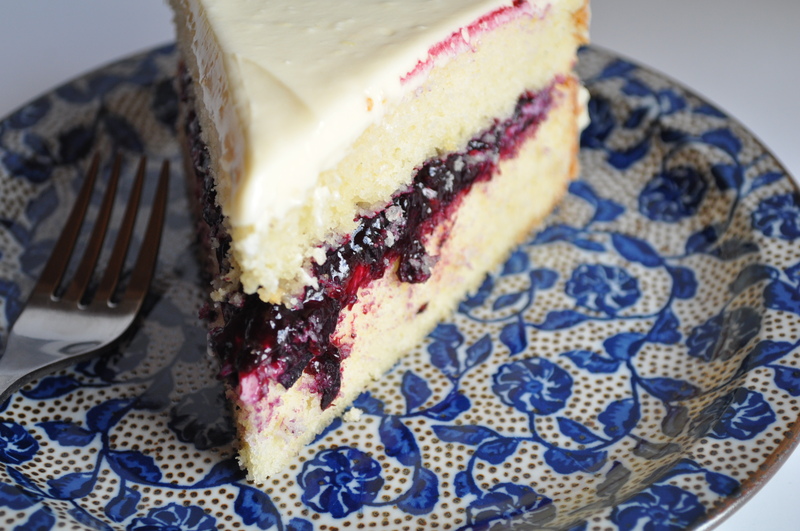 We made this cake last year (LOL) when we had a surplus of blueberries. 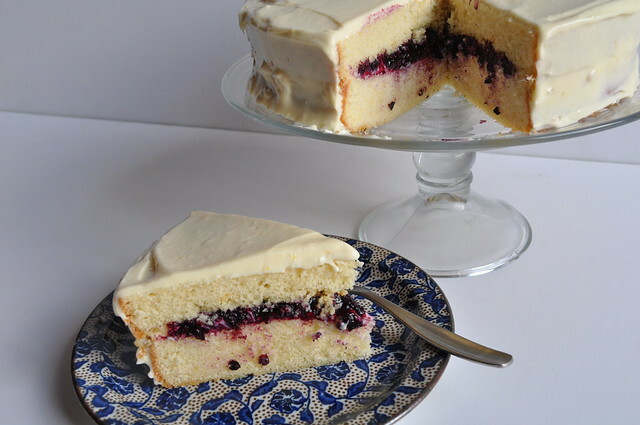 I mean, what better way to deal with tons of blueberries, then to make a delicious lemon and blueberry cake! 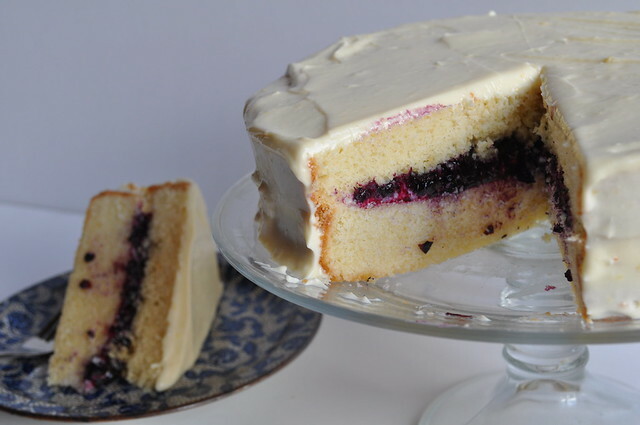 This cake will please just about everyone, sweet blueberries mixed with that tart, yet sweet lemon? Our mouths are watering already! 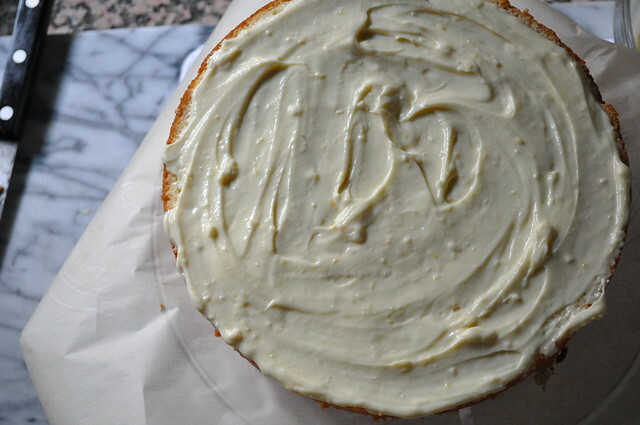 Grease (or spray) your 9 inch round cake pan. We used a springform pan, but make sure your wrap the cake pan with aluminum foil so the cake doesn’t seep out. If you don’t use springform pans and you grease with butter, don’ forget to flour and line the bottom with wax paper. 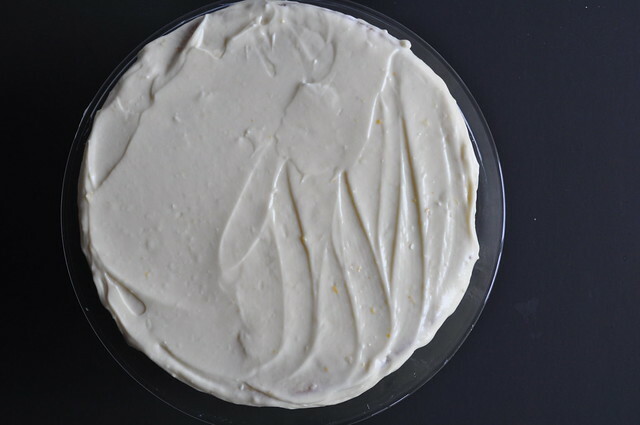 You can also divide the cake batter between two cake pans as well. 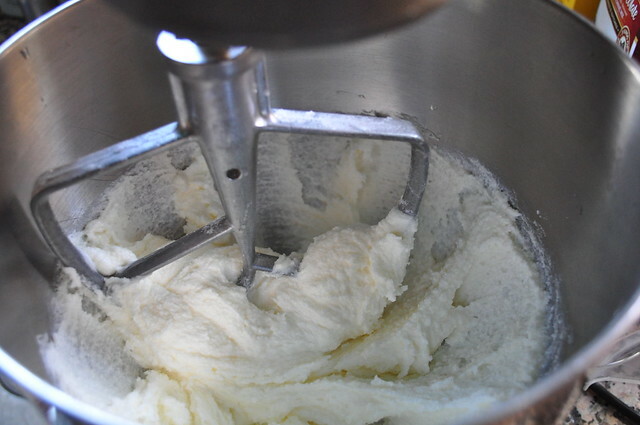 In a stand mixer fitted with a paddle attachment (or a large bowl using a hand mixer) cream the butter until smooth. 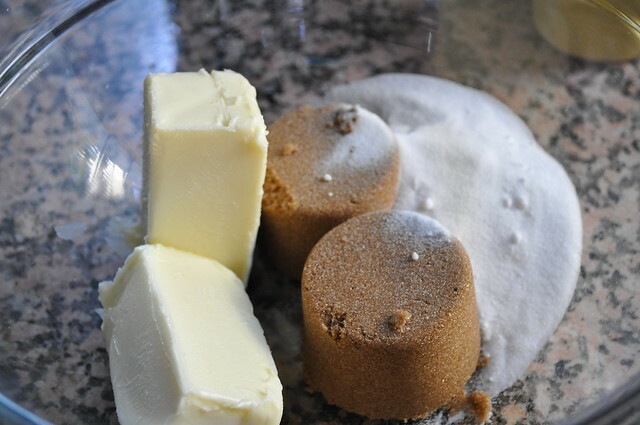 Next, gradually add the sugar and beat until fluffy. About 3 minutes. One at a time, add the eggs making sure to beat well after adding each egg. 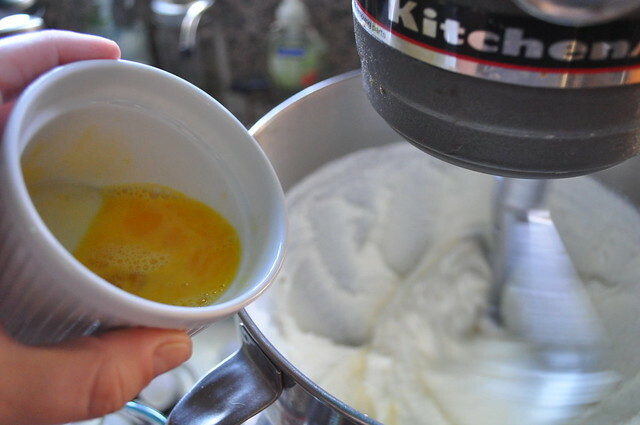 TYL TIP: Lightly beat each egg before adding it to the mixture so you don’t have to end up over beating your batter! 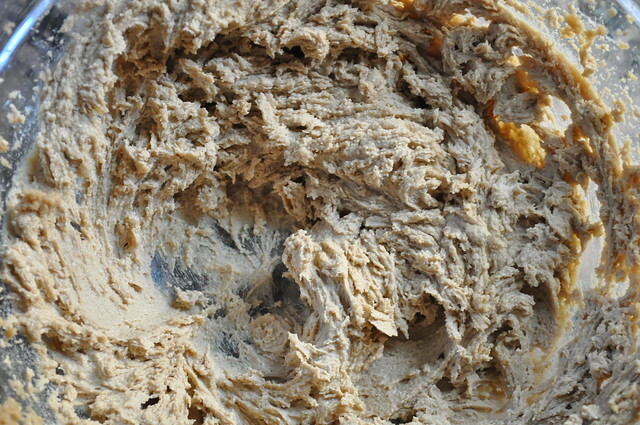 In a separate medium sized bowl, combine the flours, salt, and baking soda. Mix well. 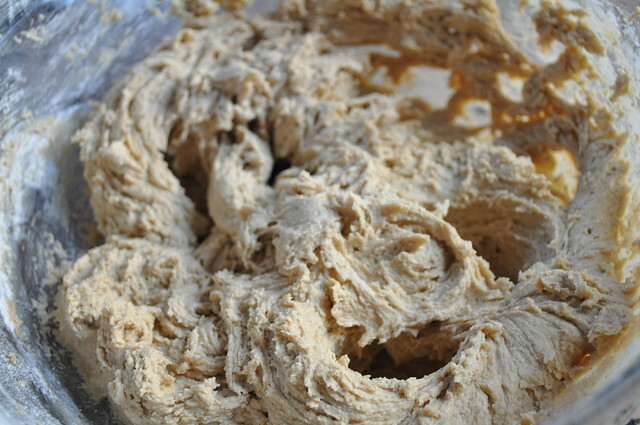 With the mixer on low, add the flour mixture in batches until combined. Next, add the milk and beat well. Mix in the vanilla until fully incorporated. 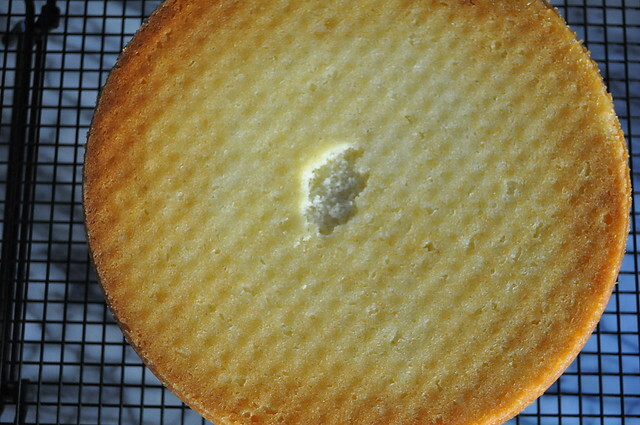 Pour the cake batter into your cake pan (or pans). 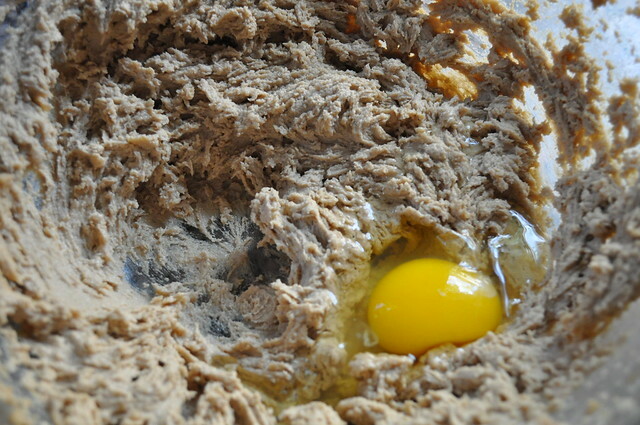 If you want to get fancy you can divide the batter among. 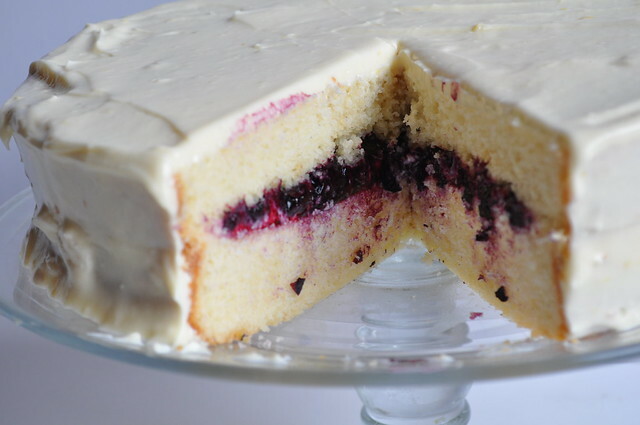 Bake for 20 to 25 or until the middle is no longer jiggly and the cake tester comes out clean! Let the cakes cool for ten minutes in the pans and then remove and let cool completely on a wire rack. 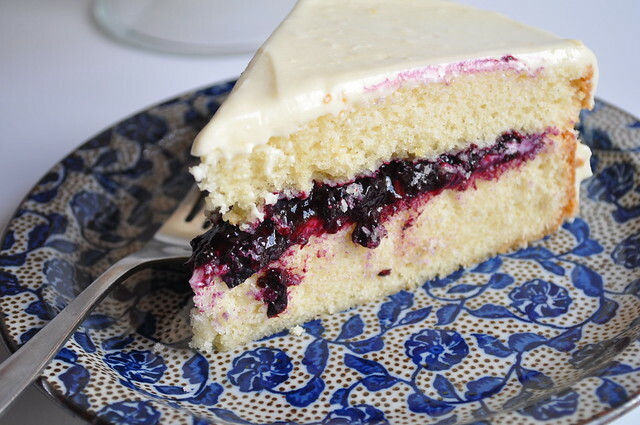 In a medium sauce pan, combine the blueberries, sugar, vanilla, cinnamon and orange juice. Bring to a boil. 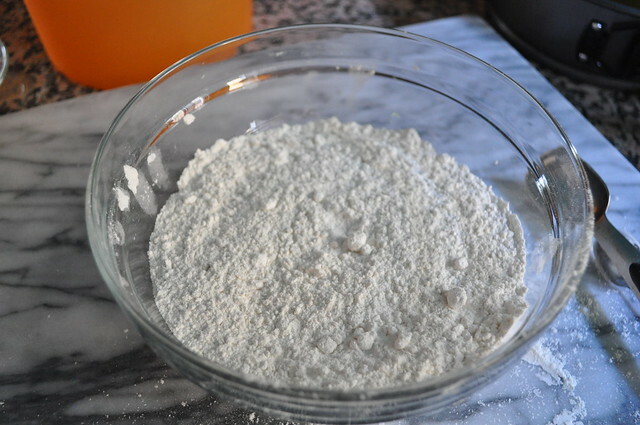 In a small bowl, mix together the cold water and cornstarch. Add the cornstarch mixture to the blueberries. Mix until combined. Cook over low heat until the mixture has thickened and coats the back of a spoon, about 3 to 4 minutes. Remove from the heat and and let cool to room temperature. 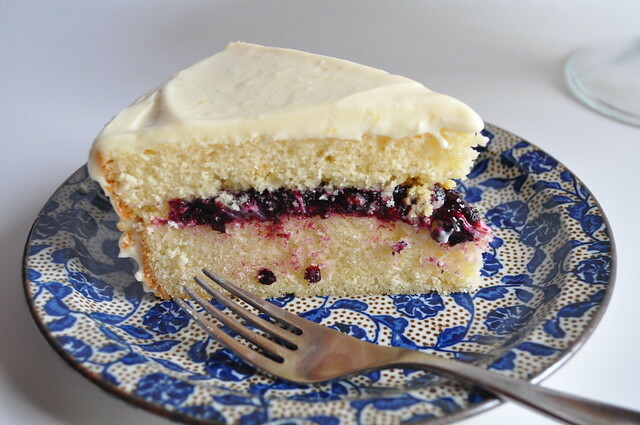 In a medium bowl beat the lemon curd and cream cheese together until combined. Next add the powdered sugar and beat until smooth. Mix in the lemon extract. TYL Tip: If you really want to punch up the lemon flavor at a the zest of one lemon! 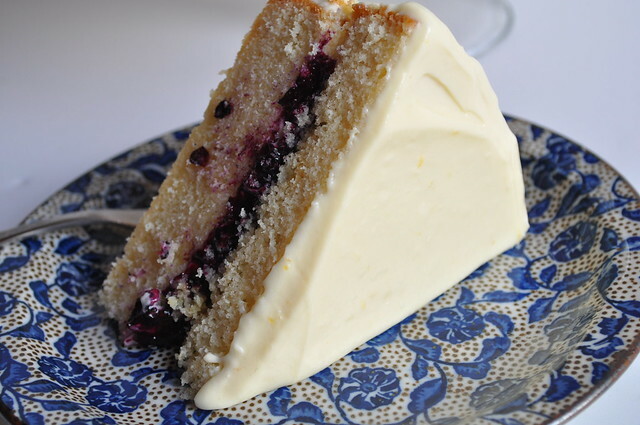 If needed, evenly cut the cake and trim any unsightly bits. 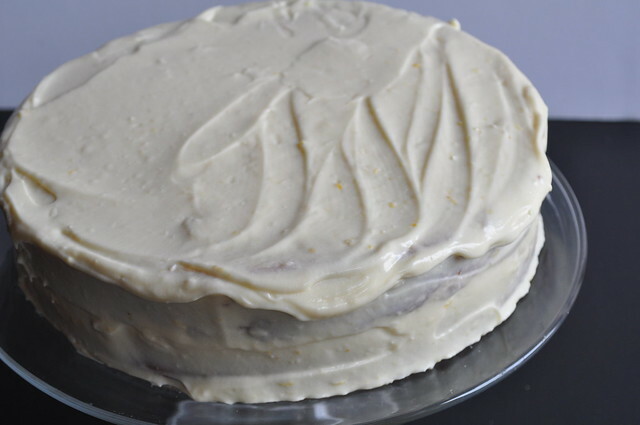 Take your frosting and frost one side of the cake. Working from the middle out. 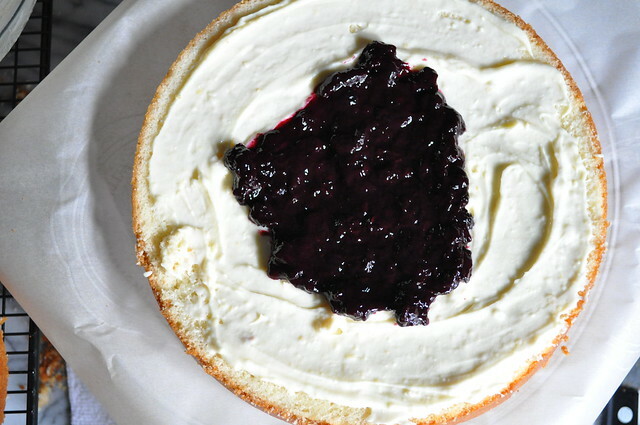 Next, add the blueberry compote, and again work from the middle out, spread the blueberry compote. Samdwich the other piece of cake on top of the prepared side. 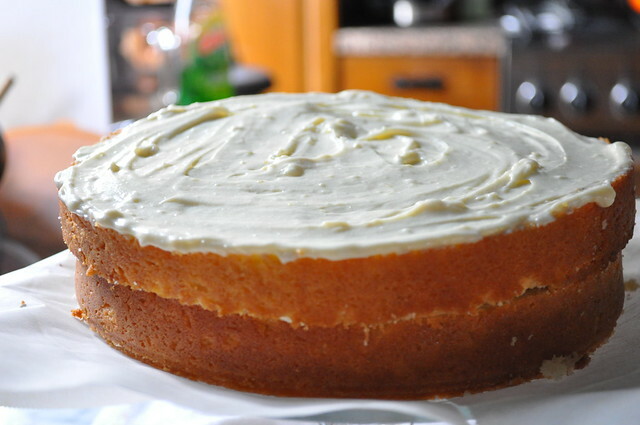 Begin to frost the cake, and then enjoy! Like our recipes? Don’t forget to like, subscribe, and share us! You can also find us on Facebook, Twitter, and Instagram!